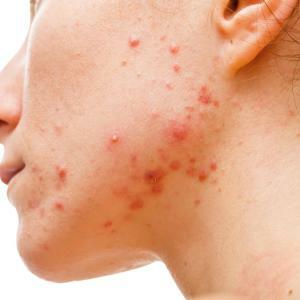 The monoclonal antibody dupilumab delivers significant improvements in signs and symptoms of atopic dermatitis (AD) while having an acceptable safety profile, according to a study. Researchers performed a systematic review and meta-analysis of randomized controlled trials of dupilumab treatment in adult patients with AD. They used fixed- or random-effects models to calculate pooled standard mean differences (SMDs) or relative risks (RRs). Pooled data from six trials involving 2,447 patients revealed that the use of dupilumab led to clinically relevant improvements in Eczema Area and Severity Index score (SMD, −0.89; 95 percent CI, −1.0 to −0.78), percentage of body surface area (SMD, −0.83; −0.90 to −0.75), pruritus numeric rating scale scores (SMD, −0.81; −0.96 to −0.66), and Dermatology Life Quality Index scores (SMD, −0.78; −0.89 to −0.66). The drug also yielded a significant increase in the proportion of patients achieving Investigator’s Global Assessment response (RR, 3.82; 3.23–4.51) without increasing the incidence of adverse events (RR, 1.0; 0.96–1.04). Findings of the present analysis show that dupilumab can yield improvements in all the evaluated measures of moderate-to-severe AD, researchers said. Furthermore, dose regimens of 300 mg once weekly and 300 mg once every 2 weeks appear to have similar benefits.